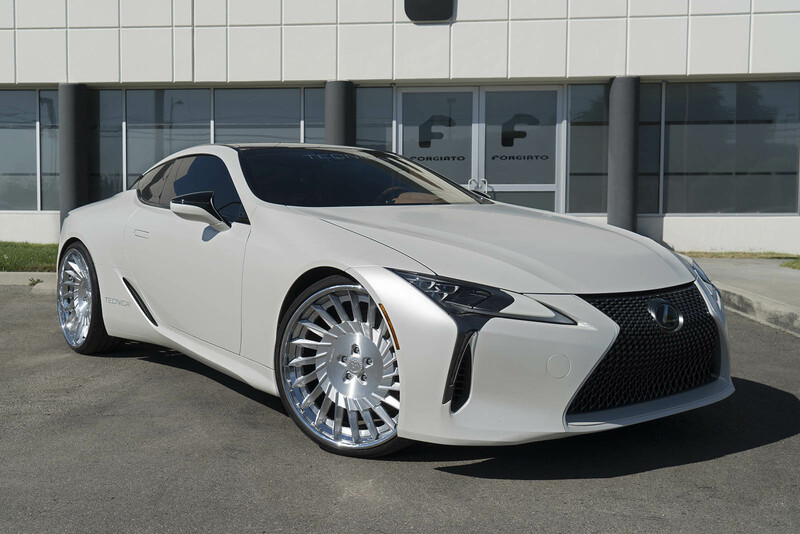 The Lexus LC500 represents the very cutting edge of the Japanese automaker's design ethos, looking like something out of the future. 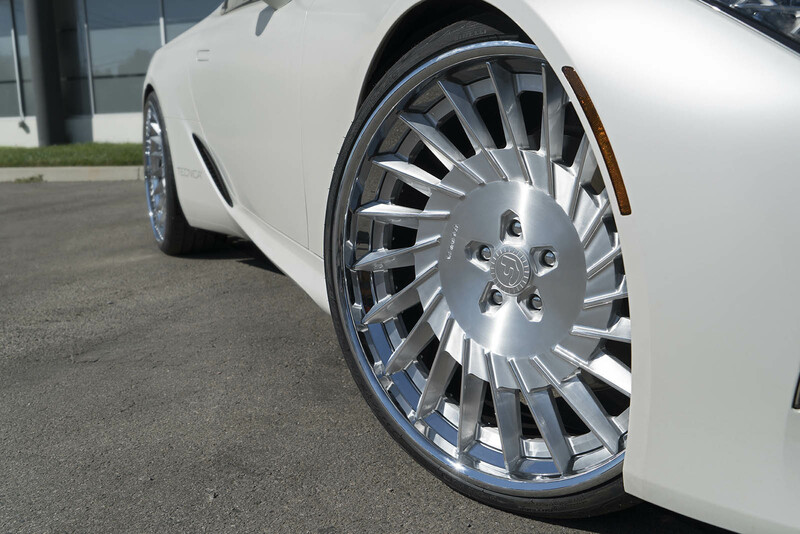 But the wheels may not be to everyone's liking. 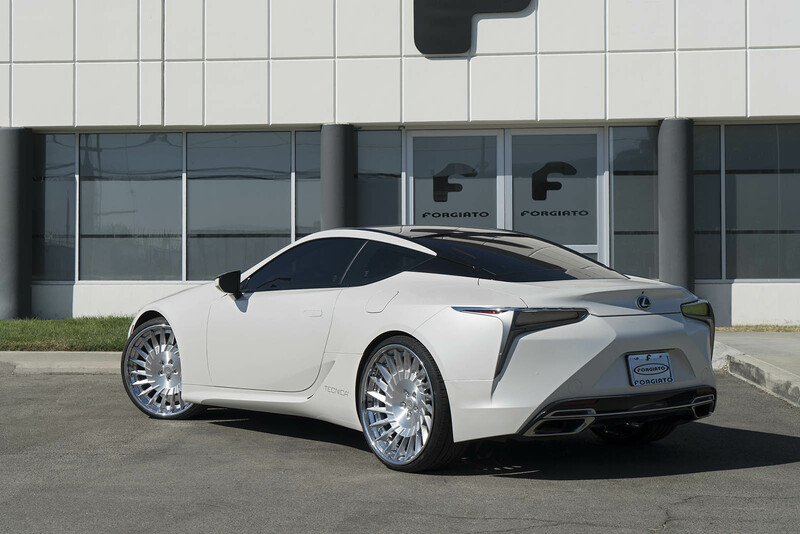 Enter the folks at Forgiato, who outfitted one such pearl-white coupe with a new set of their Tecnica Tec 3.3 alloys. 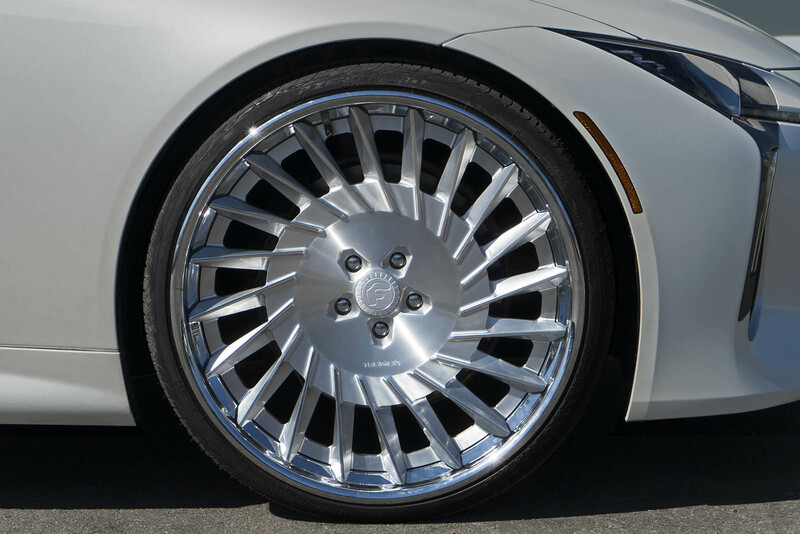 They're massive 24-inch units, with brushed spokes and polished rims, and they've been shod with low-profile Pirelli P Zero Nero all-season rubber. 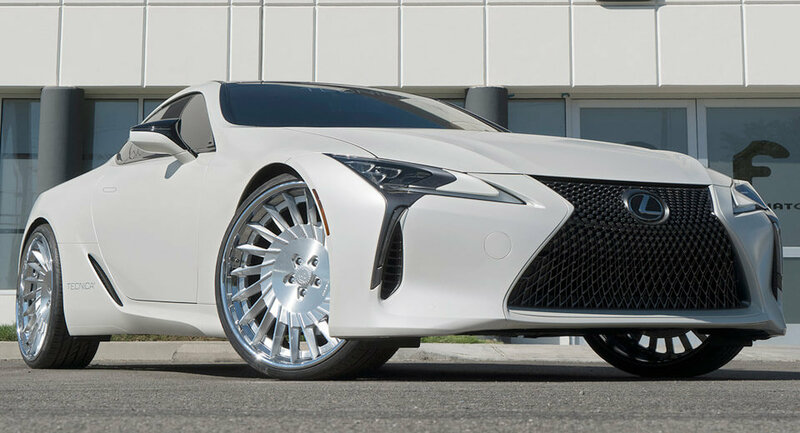 The turbine-style wheels cut a rather different profile than the stock units and give the sleek Lexus an altogether different look. The storm-trooper look of the white bodywork and all that black glass doesn't do anything to burst that futuristic bubble, either. 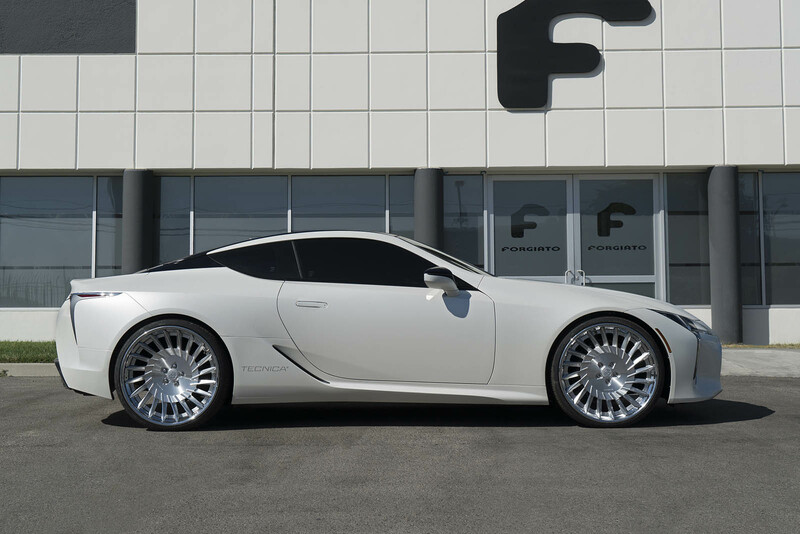 The owner has apparently removed the model-designation nameplate off the back, but we're told this is a conventionally powered LC500, with the old-school 5.0-liter V8 rated at 471 horsepower. And we dig it. 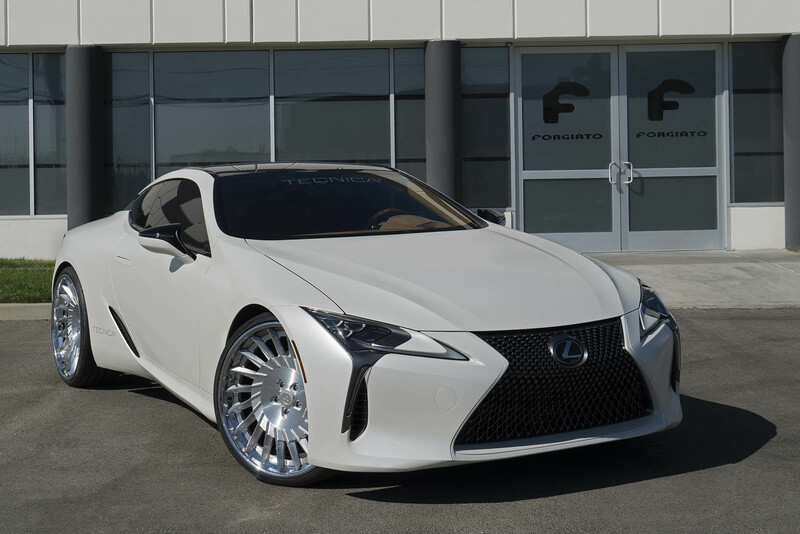 But for a more forward-looking propulsion unit that's perhaps better matched to the futuristic design, Lexus also offers the LC500h with a 3.5-liter hybrid V6.